You finally think you’ve met the person of your dreams…the ‘one’ you had been praying for, perhaps for years. You already had made your requests known, and one day, when least expected, they just show up! Everything about that person confirms that it aligns, everything! It matches above and beyond what you had submitted on your prayer list, in the specifics of a life-partner and everything just seems easy. They are heading the same direction, hold the same values, similar vision. You are grateful for His provision as you journey through your new relationship, resolving in your mind that you are committed for the long-haul, completely invested, until one day, unexpectedly, they drop a bombshell, they no longer want the relationship! They may or may not have given details of their decision. Perhaps they did, but it makes no sense, actions vs words contradicting. A million things go through your mind…you begin questioning, are they rejecting me because of me? Did I say or do something to deter them? Is there someone else they have met that superseded our relationship? If they knew my circumstance and situation prior to meeting me, why pursue me knowing that in their heart, it can and would never work out? Why didn’t they think things through before playing with my heart and emotions? You begin to get angry and ask yourself, why would someone intentionally play with my heart? How can someone be so inconsiderate? Why would someone go completely out of their way to pursue relationship without having the boldness or character to compete what they started? You don’t want them to see your emotions, the tears, for fear of being vulnerable, so you put on a brave face and be strong, making out to them, it’s no problem. You try to comfort yourself internally, by thinking thoughts such as, I don’t care, I don’t want to be with them anyway, it was never going to work out, while your heart beats fast, and you’re overwhelmed with pain, thoughts flooding you as they continue to speak before walking away. The next few days, you ask yourself, but every sign pointed to things working out, are they running from something? Fear of what people will say, fear of things not working out, fear that God is unable to provide and order favoured steps to make the impossible possible. Are they running from past experiences and hurt? Fear of commitment? So, what do you do? You feel overwhelmed with emotion, sick in your gut, perhaps stomach cramps at the thought of losing the very person you thought would be your life partner. You begin to question God, “if I was open to Your intervention and You went before me, why did you allow this person to come into my life in the first place”? Overwhelmed with disappointment, you go to bed at night and uncontrollable tears flow, you wake up in the morning, having to face reality again that it is over, and tears begin to flow. You want what’s best for them, you do, but deep down you also want them to understand the hurt you are experiencing. Perhaps you’ve seen glimpses of this person’s potential, kno wing and understanding the call on their life, you want what is best for them, what makes them happy, but at the same time grieving the loss and feeling a mix of anger, fear, pain and betrayal! You ask yourself over and over, what is life going to be without them? How do I move forward from this? Will the pain ever go away? It is normal that you are hoping and desiring for everything to be reversed and reconciliation to take place. You may be going through a period of denial, thinking it will pass over, almost like you are in a dream that you will wake up from. 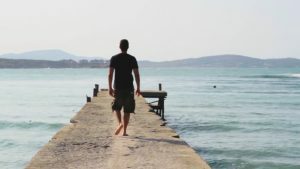 We don’t always have all the answers and it just may be that God has you in a season, where He has allowed things in your life that took priority before Him to be removed, so that, once again, You can cling to Him and let Him be in control vs you trying to take control, wanting your surrender. It may be that God does want the relationship for you both, however, wants to be the One to take you places vs you trying to work things out in your limited human mind. So, what do you do? How do you move forward? The reality is, it does hurt and will so, for some time. It is important at this time to recognise automatic thoughts that have emerged during the break-up. For example, I’m not good enough? Marriage mustn’t be for me, no-one will ever want to be with me, I will never open myself to another relationship. Often, we have a deep underlying core belief about ourselves. Are you able to identify anything negative, that you automatically thought about yourself, in relation to the break-up? What are your painful feelings? It is important to acknowledge these, it could be rejection, anger toward the person who broke it off, disappointment, betrayal, isolation….what else? It is helpful to write them down. All of these feelings are important to recognise and acknowledge. What actions have you taken so far? Have your actions been appropriate or reactive? Perhaps you feel compelled to accept another relationship out of spite? Maybe you have been reactive and sent them a not-so-nice message; you may have said things that you wish you could now take back. As you try and push through this painful season in your life, it is important to identify any irrational thinking. It helps to write these down. For example, some of the lies (irrational thinking) may include: everyone wants to be with me – I can’t understand how I was rejected, or, I am incapable of being in a relationship, or, you may have thoughts of, no-one ever wants to be with me or, God will never meet the very things my heart desires. How do we do that? We have to recognise the untruth of our thoughts, or perhaps, on the flip-side, the facts. For example, not everyone is going to like me, regardless what I do. Or, demolish the lie of no-one ever wants to be with me. So, what is the reality? What are my core beliefs? These can be promises that God has made to you, which you know and believe are true. For example: 2 Timothy 1:7, For God has not given us a spirit of fear, but of power and of love and of a sound mind or Jeremiah 29:11 For I know the plans I have for you,” declares the Lord, “plans to prosper you and not to harm you, plans to give you hope and a future. What other core beliefs, truths come to mind now? How can you demolish (remove) the lies and replace these with the truth? How can you put off the old and put on the new? This can be done through prayer, letting it go, choosing to forgive, maybe you are led to uplift that person in prayer, a practical way to help you forgive. It is important throughout all of this, to acknowledge and ensure your behaviour and acceptable thoughts are aligned to your values. For example, to forgive, as He has forgiven us, to accept that every man and woman has free-will to make their own choices. What is your state of readiness for change in this area at this time? What are you prepared to give up to feel better? Relationship break-down is never easy. 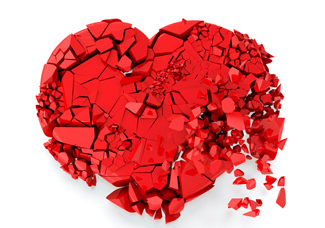 A broken heart is real and painful. The good news is, it’s not the end. God says He has a great future planned for you! Walk in confidence knowing He has a great plan mapped out for you. Remember, you too should only want God’s best, including someone that will make sacrifices, travel half way around the globe if needed, giving you their all to be with you! Psalm 147:3 He heals the broken-hearted and binds up their wounds. If you are struggling with feelings of anger, rejection and resentment, it is really important to be released into freedom from these feelings through forgiveness. Have you ever experienced a season in life where everything seems to fall to pieces? It could be a combination of a few things, for example, loss of job – financial crisis, or a broken down relationship. It can be really difficult to accept your current reality; especially if you had/have no control over your situation, or if it is completely out of your control to influence the outcome. Are you feeling extreme disappointment? Are you asking yourself if God has forgotten about you? Are you blaming yourself, thinking that your current circumstance is due punishment for something you intentionally, willingly did. The truth is, there is a reason for every season. It could be a season of repositioning (how exciting)!! It could be God wanting to refine certain gifts in you. It may be a push to complete surrender where God wants to be God, however in order for that to happen, He needs you to surrender and trust in Him, not to try and manage things in your own strength, but rather, to trust In Him and His ability. Resistance in a difficult season provides no purpose. Surrendering and recognising the opportunity for exponential personal growth, as difficult as the season presents is wisdom! Whatever life has presented you, you get to choose your reaction. Do you react to circumstances based on irrational, reactive, compulsive thinking or do you choose to react based on your personal core beliefs and values? Trying to reason with your season can pro-long the season with little to no outcome. Embracing your current reality, recognising presented opportunities, learning the lessons in your current season, leads to growth. Embrace very season and thank God in advance for what He is orchestrating for you. Did you know that God loves and cares about you so much, it’s His desire for us to be in top health? He wants us to be strong, healthy and free of disease. How do I know? Proverbs 3: 7-8 (AMP) “Be not wise in your own eyes; reverently fear and worship the Lord and turn [entirely] away from evil. It shall be health to your nerves and sinews, and marrow and moistening to your bones”. 1 Corinthians 6:20 (AMP) “You were bought with a price [purchased with a preciousness and paid for, made His own]. So then, honour God and bring glory to Him in your body. In today’s world, it’s can be so hard to keep on top of everything. Finding time to do anything, let alone set time aside to take care of our health! How challenging it can be to set time aside daily to exercise our bodies/prepare fresh, nutritious food to eat and ensure we get adequate rest. Juggling home-duties, a demanding job, children, kids activities, paperwork, bills and the list goes on, it’s so easy to neglect your health. It’s not just physical or spiritual health God cares about. He cares about our physical, spiritual, mental, emotional well-being. In this 21st century, how difficult it is to stay on top of everything, let alone, take care of ourselves in every aspect! A very common symptom that affects many in today’s society is stress. Hardship often can lead to some form of stress, whether it be anxiety or an overwhelming sense of pain. Stress more than often affects us physically. Our bodies are designed to handle stress for short periods of time. In fact stress is good in that it heightens our senses, allows us to think on the run , keeps hunger at bay when we need things to be done urgently. It makes us alert , protects us from being injured by releasing inflammatory makers should we be injured in our rush to get things done… not such a bad thing so long as it’s only for a season and not long-term. Stress becomes an issue if its chronic. If you are experiencing hardship or going through a tough time in your life, it is vital that you take time out to relax, find solace in prayer, journal your thoughts, your feelings, your hurts, disappointments and acknowledge what you are grateful for despite the prevailing circumstances. Studies have shown that people going through divorce or separation may develop chronic diseases during that period. On the scale of the most stressful life events, divorce is right there next to the death of a loved one. The good news is that there is a cure. 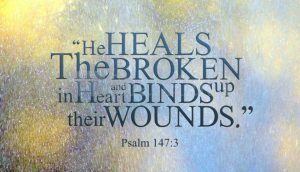 Psalm 147:3 – He heals the broken-hearted and binds up their wounds [curing their pains and their sorrows]. How amazing is this? God promises to heal our broken hearts, whether is be from loss, separation, relationship pain, rejection, it’s God’s will and His promise to heal us. Have you ever found yourself in a crisis, a situation that you didn’t plan for? Do you currently find yourself in an undesirable and uncomfortable position? Life will throw you curve balls. You may be going through a challenging period now, where you find yourself in an unexpected storm. Maybe your friends have turned on you, your spouse has betrayed you, maybe your work colleagues have accused you wrongly, perhaps you’ve lost your job, or things have come up which has placed you in an undesirable financial position. You may be thinking to yourself, how am I going to get through this? How am I going to make it? Maybe you’re wondering how God could have allowed you to be in the situation you’re currently in. A crisis can be defined as a time of intense difficulty or danger. It can also be defined as a time when a difficult or important decision must be made. Crisis can be seen in different ways. To some people, when they find themselves in a crisis, their world has come to an end (metaphorically speaking). To others, crisis can offset depression or self-pity, anxiety, depression and fear, leading them on a downward spiral. For others, and hopefully yourself, you will see and allow your crisis to become an opportunity! An opportunity to reflect on your current situation, reflect on past decisions, note why and how things have transpired, and an opportunity to revise life goals moving forward. An opportunity to re-visit your life goals and perhaps determine a new route to take you to your desired goal or planned destination. 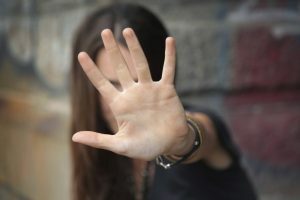 Sometimes a crisis can be frustrating in the sense of a false accusation or being robbed of something, whether it be finances, reputation, broken relationship. 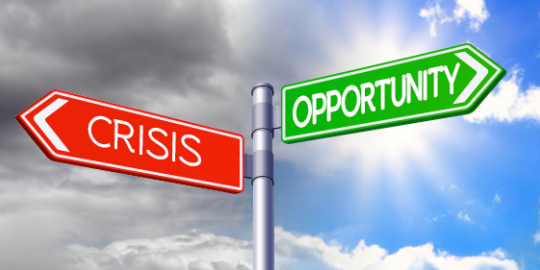 Crisis may be the result of intentional interference or unintentional circumstances that are beyond anyone’s control, eg, economic downturn, natural disaster. I know years back, when I personally faced a crisis, I have to admit, my initial reaction was fear and worry, which offset anxiety. I was out of my comfort zone, unsure of what to expect, unsure of what is next, unsure how I was going to make it, no knowledge of how things were going to transpire. Now, when I find myself in a crisis, faced with the unknown, my reaction is no longer one of fear and worry, but rather, peace, solution and excitement to seek the opportunity in my time of crisis, as I trust in God. One thing I have learnt through many, many trials, challenges and personal crisis, is that God always sees me through. I also know and am secure in the truth that God’s character does not change. If I face another crisis, I can rest and have peace in His delivery and guidance, provision and protection. No matter the reason you end up in a crisis, you cannot afford to see your current circumstance as anything less than an opportunity. It can be a frustrating, yet an exciting time as you face the unknown. It is important through a crisis that you manage what you have. Analyse and assess the resources you have and what you have access to. Differentiate between need vs want and make sure you put into place an action plan of how to conserve as much as you can and minimise on expenditure and try and maintain/preserve your resources. For example, if you find yourself going through a financial crisis, you may need to draft a report of what you do have, how much you need to meet current and upcoming expenses and an action plan of how you will meet each expense. It may mean that you need to look at purchasing weekly specials when grocery shopping, eliminating the purchase of your takeaway coffees, limiting the use of utilities, eg, water, electricity. It is a good idea to incorporate resource saving processes long term, in order to be good stewards of what God has entrusted you. In my home, once I finish watching TV, I turn off the power at the power point. The only light on is the one that I am using. Initially, some of these practices may require effort and diligence, however, once repeated several time, will become habitual and a way of life. One example of crisis may be things have gone down in your workplace that has caused job insecurity or job loss. You still have a family to feed, a mortgage to pay, bills to pay, financial responsibilities that still need to be met. This, no doubt can be extremely overwhelming. You have a choice of how you handle your crisis – it is a choice. You can choose to be affected and be slapped with the repercussions of your crisis, or, you can choose to rise above your circumstance and be victorious over your crisis through re-visiting your goals, creative and innovative thinking and practical application. You cannot afford to submit to your current ‘crisis’, but rather, take it as an opportunity for growth, for greatness and to understand your God given purpose on earth. Your crisis is temporary! Find peace knowing that what you are facing is just for a season! Everything is for a season, there is a time for everything! One of my favourite truths in the Bible comes from Ecclesiastes 3. When you reflect on this, it is truth. Life events are seasonal. This is good news! What this means for you is that you may be out of work now, however, the season will end and you will find yourself employed. If you are in the midst of a crisis and are in need of prayer, you can post a request here. We’d love to pray for you and believe that through your struggle, God will direct you and grant you wisdom to find opportunity to overcome your current circumstance and be blessed. Have you ever wanted to do something in life, make some changes, try something new, yet, it’s never been the right time? Whether it be travelling, spending time with a loved one, starting a family, starting up a business, getting involved in ministry, and the list goes on. How many times have you heard people saying, we’re waiting for the right time. How many times have you put something off, thinking that there may be a better time to do it? 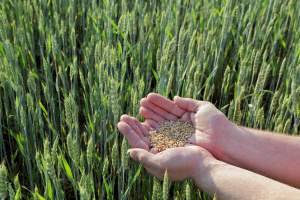 Can you imagine a farmer, not planting his seeds until what he interpreted or believed to be the right time, not a cloud in the sky, wind force at a minimal, a certain amount of rain needed – it’s unlikely this farmer would ever have a harvest! He would spend day and night waiting for his opportune time, only it may never come, or it may be too late. Imagine on the flip side, this farmer went ahead and planted his seeds, regardless of the weather! Perhaps he would get a great harvest? Perhaps some of his crops may wither, but the remainder are fruitful. The fact is, the farmer has no control of the weather, nor can he predict or influence the weather, however, his chances of reaping are far greater if he sows vs if he doesn’t! In a similar manner, don’t wait for things to be perfect before stepping out and doing something. You may end up waiting all your life! You may be wanting to start a family with your spouse, however, waiting until you are ‘financially ready’, or you may be wanting to start a new business initiative, however, waiting for a less busy period with your current job. The fact of the matter is, some things in life we have no control over! Solomon encourages us to step out, go ahead, take some risks. You may try something and not be successful. You try again and you are – you just don’t know, however, if you don’t sow (don’t step out) you will never know!